In “The Legend of Papa Noel,” Santa Claus of the North Pole becomes Papa Noel, a man who lives in the swamps of Louisiana. Instead of reindeer to pull his sleigh through the snow, he has alligators to pull his pirogue down the Mississippi. Children get a taste of the tales Cajun children may hear on Christmas Eve. Around the world Santa Claus has many names. But in a deep, swampy bayou of Louisiana, he’s known as Papa Noël. In such a hot and humid place, there can be no sleds or reindeer, so Papa Noël rides the river in a boat that’s pulled by eight alligators, with a snowy white one named Nicollette in the lead. On this particular Christmas Eve, it’s so foggy on the river that even Nicollette’s magical glowing-green eyes may not be enough to guide Papa Noël. The alligators are tired, grumpy and bruised from banging into cypress trees, and Papa is desperate to get all the gifts to the little children. Well, “quicker than a snake shimmies down the river,” the clever Cajun people come up with a solution that saves the day. A colorfully inventive Christmas tale, Papa Noël is a lesson in fast thinking, as well as a witty introduction to a part of America that’s rich in folklore and legend. 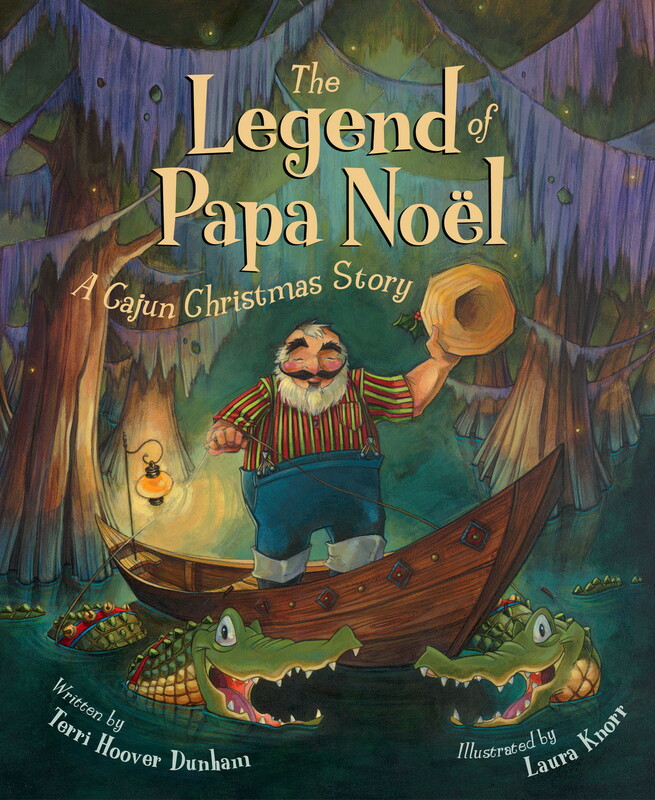 Be the first to review “The Legend of Papa Noel-A Cajun Christmas Story” Click here to cancel reply.